Fall, the most wonderful weather when it comes to color. The mauves, oranges, and reds of fallen leaves are amazing. Fittingly, OK Go's latest music video aptly titled "Last Leaf" is amazing. Although the color scheme is a little muted than the regular autumn colors, it is almost as lovely as fall. 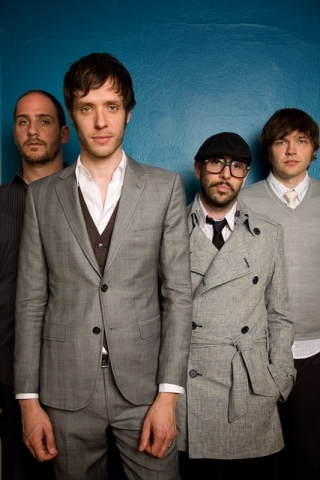 The video was directed by OK Go, Nadeem Mazen and Ali Mohammad. It was produced by Shirley Moyers with animation by Geoff Mcfetridge and/from Champion Studio. The video was filmed using the Samung NX100 camera. It uses thousands of images and was then brought together to form a stop-motion animation.The images are taken using the Samsung camera to show it's technical capabilities. 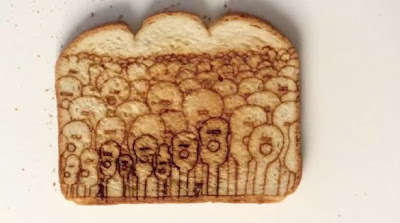 The images of toast (!) 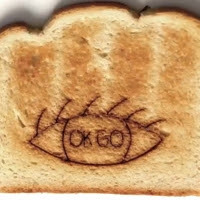 were also combined with the band's own hand drawing in the video. OK Go is probably the best in the indie music video scene, too bad they do not get nominated on any MTV Video Music Awards... Or is it not? Anyway, are you ready for the video? It might not be as astounding as their previous work (which i blogged about here and here) but it is still very good compared to the crappy mtv's of today's popstars.